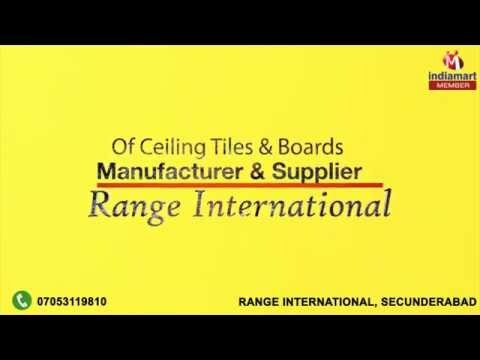 Welcome to Range International, established in the year 2014, we are one of the leading manufacturers, supplier, trader, distributor and wholesaler of this impeccable range of Ceiling Tiles & boards. Making of this range is done utilizing the finest raw materials and modern machines, as per the set industry norms and guidelines. This ensures the products finishing, sturdiness, durability and resistance to heat & moisture. Further, the offered range made up of the finest and highly demanded products like Mineral Fiber Ceiling Board, PVC Gypsum Ceiling Tiles and Gypsum Ceiling, is priced at the most reasonable rate possible. The highly developed infrastructural facility at Range International, has been equipped with all the necessary machinery and equipment, help us in the attainment of a number of the firms objectives and targets, predefined. In addition, our abidance of the norms and ethics of the industry, have helped us generate a huge client base.